2018 JRBF Poster and Brochure for download. 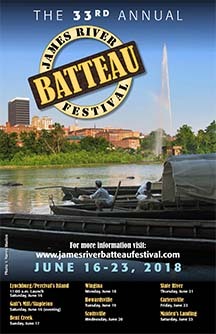 The 2018 James River Batteau Festival Poster is available for download here. Print as many posters as you like and help advertise the festival. The 2018 James River Batteau Festival Brochure – download here.